Faviola has been with Sun Pacific for over 21 years. She is the mother of two children, and likes to read and spend time with family and friends. In addition, every year in December, Faviola and her family drive 32 hours to Mexico to visit their family and friends. 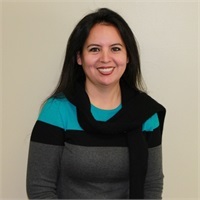 Faviola is bilingual, speaking English and Spanish, and enjoys helping all of her customers with their insurance needs.